What is the Physical Activity Referral Scheme? It’s a 12 week scheme where you visit a participating leisure centre or gym at least twice a week. You’ll get a personalised exercise programme with a trained referral instructor, based around your health conditions and what you’d like to achieve, even if you haven’t exercised before. At your first session, you’ll meet your referral instructor at one of the venues listed below. They’ll do a health check with you where you can discuss any preferences or concerns you have or ask them any questions. The instructor will plan a personalised programme for you and give you an induction on how to use any gym equipment you’ll use for your plan. 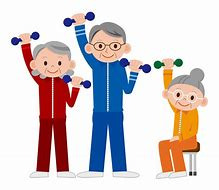 Activities are mainly gym based exercise but may include other activities like swimming and light circuit training, depending on the leisure centre you go to. You’ll meet your instructor during week 3, 6 and 12 of your programme. In week 3, you’ll have an informal chat about how your programme is going. At weeks 6 and 12, you’ll also have a health check to track your progress. Ask your doctor, practice nurse, physiotherapist or hospital consultant if you’re suitable to do the scheme. The cost will depend on which centre you go to, but it is less than the standard membership or entry fee to the venues. Contact the venues listed below to find out the cost and times before you ask for a referral. Some venues offer discounted memberships for people who’ve completed the 12 week scheme. You can bring someone with you, such as a friend or family member. They pay the same reduced entry fee as you for the sessions.